Product prices and availability are accurate as of 2019-04-25 16:21:41 UTC and are subject to change. Any price and availability information displayed on http://www.amazon.com/ at the time of purchase will apply to the purchase of this product. If any sandal says Rainbow, this is it! 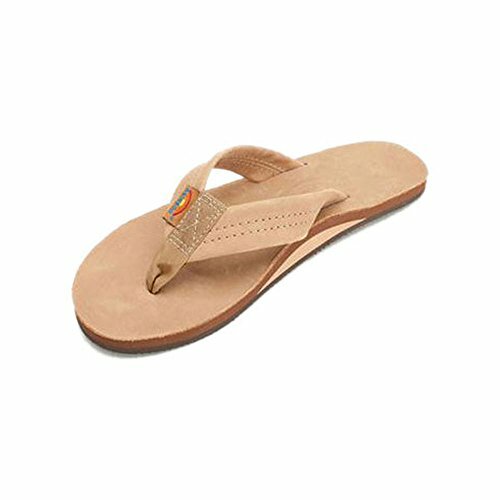 This is the Rainbow Sandals staple, the one your kid stole from you because they wanted to be cool - and you still haven't gotten it back yet. This is the Flag Ship! The single layer leather sandal is made of top grade leather. It is also embossed with the Rainbow logo. The strap, also leather, is double stitched, and the nylon toe piece is secured with a box X stitch, all using bonded nylon thread. 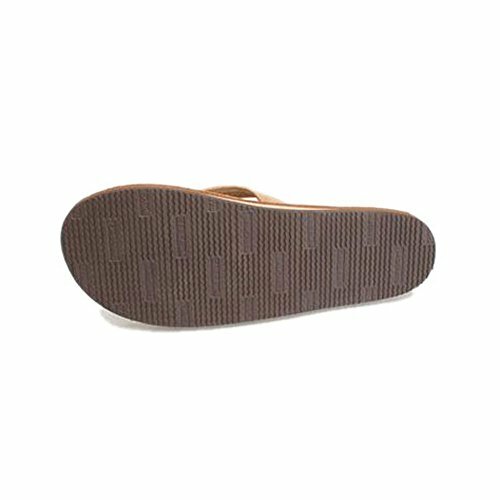 The single layer midsole and arch support is triple glued for maximum durability to our non-slip Rainbow bottom. We finish it off with the Original woven label on the right strap, the mark of a genuine Rainbow Sandal.